The Slimline Doughty Clamp Half Coupler is the Basis of the range of Slimline Doughty Clamps. 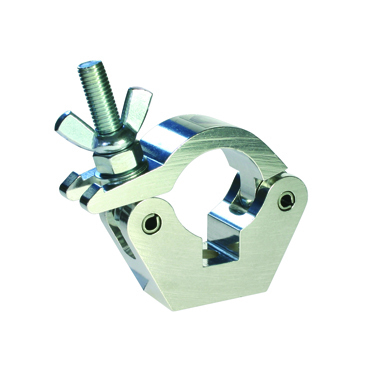 This Clamp has a slotted base to captivate an M12 (1/2") Nut or Bolt enabling users to create fixings suited to their own individual requirements. Available in Black or Polished Aluminium.